Jermyn Street is renowned worldwide as a destination for the gentleman seeking the very finest made to measure accoutrements that money can buy. This Passoni Top Force recently left our store at 59 Jermyn Street and we think it perfectly exemplifies the bespoke excellence that can be found on this historic street today. A full custom frame in the finest quality titanium, hand made in Italy to the client's geometry and hand finished to the customer's specifications by Passoni's Italian craftsmen. Custom saddle from one of Italy's finest makers. 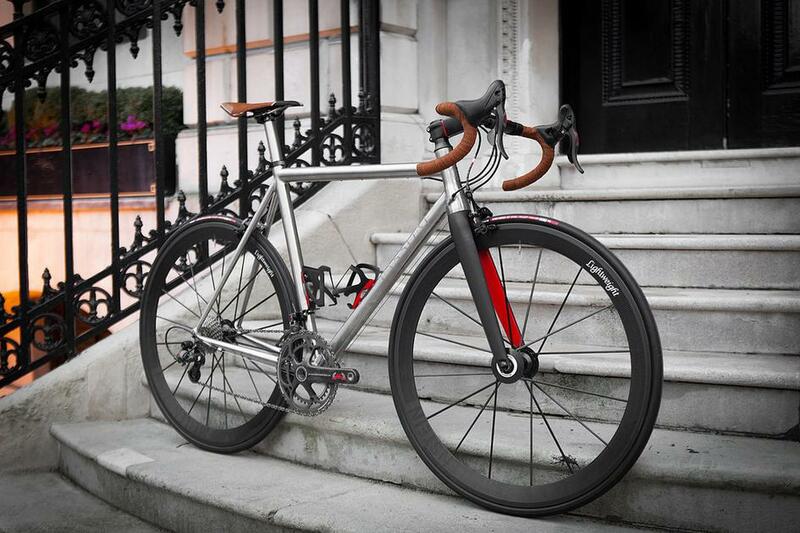 The world's finest wheels, hand built by German craftsmen, experts in carbon, in Lightweight's small atelier. This build defines excellence of craftsmanship. 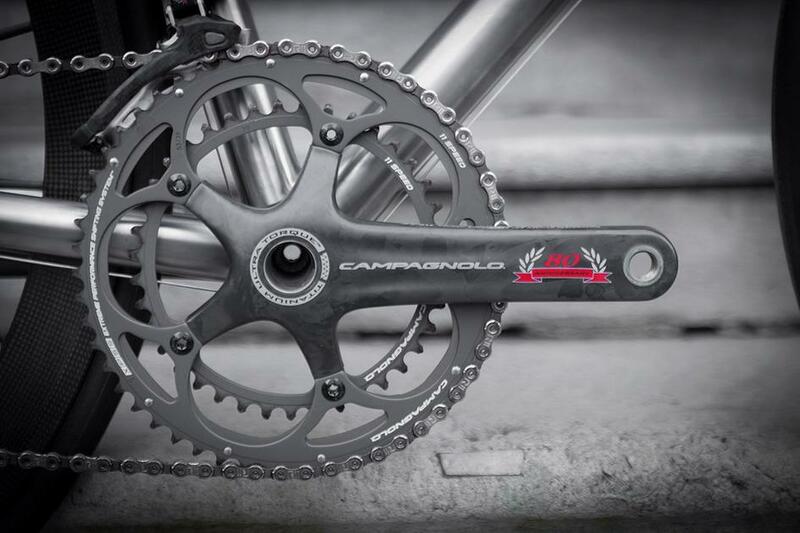 This particular build also features the very special Campagnolo limited edition 80th Anniversary groupset, a celebration of Campag's 80 years of technical excellence in the form of a largely carbon 11 speed groupset. 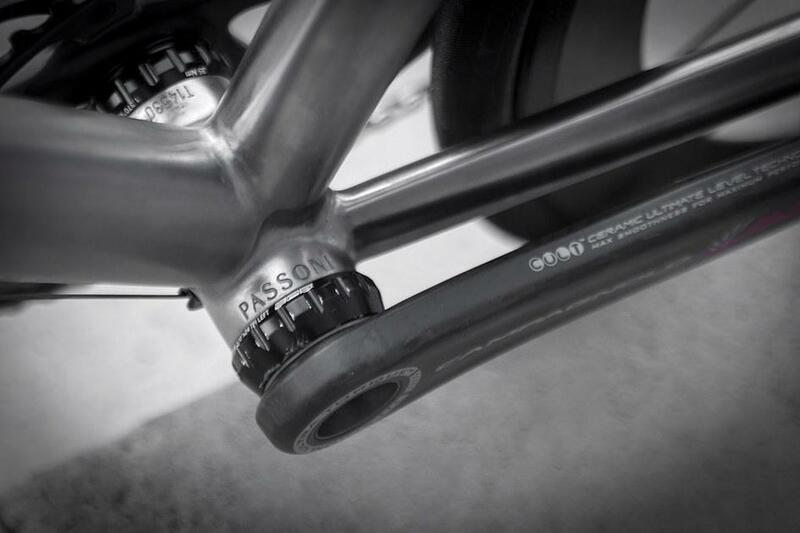 Passoni's exquisite quality, taking a minimum of 30 hours of hand finishing, is evident here at the BB. 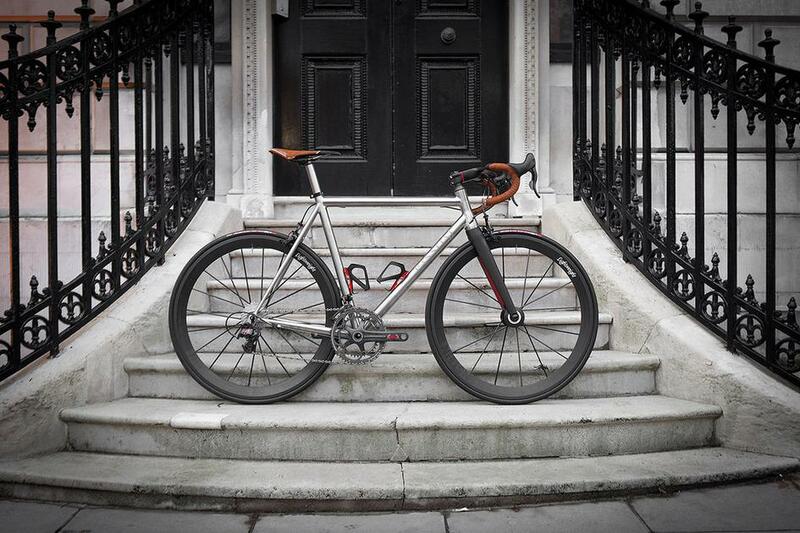 If you are looking for made to measure, for the very finest bicycles and fit service in the world, come and see us at Bespoke. Photos by Bobby Whittaker. You can see more of this bike on the Build Gallery.